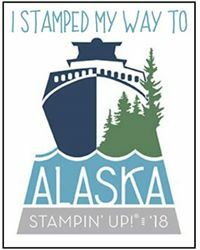 Welcome to our latest Alaska Achievers Monthly Blog Hop, with fellow Demonstrators who have also earned the prestigious Stampin' Up! Incentive Trip, that only a limited number around the world achieve. 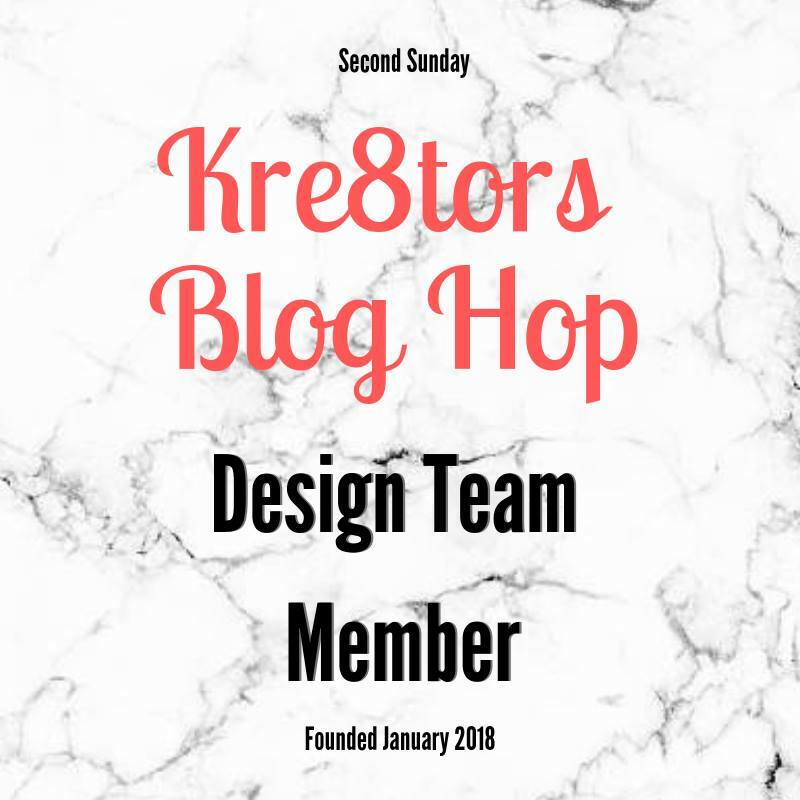 We will be hopping together every month to show you ideas and designs using current Stampin' Up! products. I live in a small village just outside Attleborough in Norfolk, UK and would love to help you if you have any questions. Today I'm sharing some gift wrapping ideas I have made in the last few days. When you realise the photo of one of your projects gifted over the weekend didn't save, after the moment of sheer panic ..... you rustle up another one, very quickly, before the Blop Hop commences !!! I'm loving the Merry Music Speciality Designer Series Paper #144623, with its fabulous 24 sheets of lightweight paper, you have twice as much to complete your projects with ! I have previously enjoyed making boxes for Terrys Chocolate Oranges every year, but was thrilled to discover this design to share with my class. 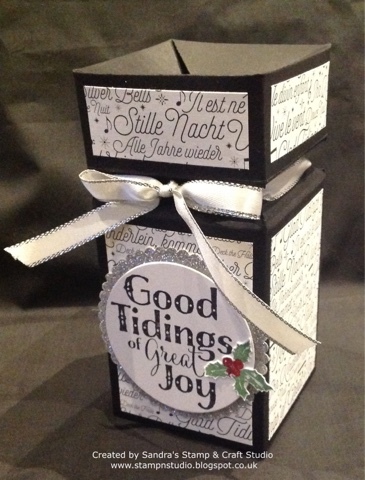 Crafters always love trying different box ideas and this one was featured at my Festive Envelope Punch Board #133774 class at the weekend and contains a Terrys Chocolate Orange, but is so versatile for any small gift. 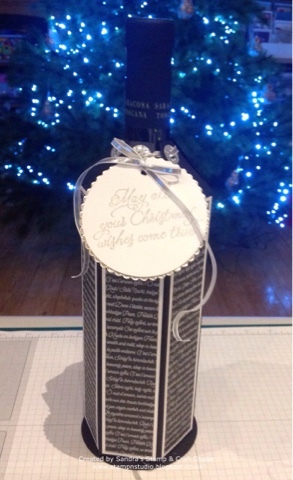 Gifting a bottle of wine is always nicer when you can create nicely decorated packaging. With some beer mats requested from one of my regular customers for another project, I have been using the remainder on other projects. Sponging the edges of a circular beer mat along a Basic Black Archival ink pad #140931 and covering with two circles of Basic Black card to the same size, was the perfect fit for the base to stand on. Thank you for joining us today - we are all so happy that you are taking part in our blog hop. Please grab a cuppa and continue 'hopping' round the globe, viewing all the incredible inspiration along your tour. If you have time to add some comments too, they are always very welcome. You are currently at my blog - Sandra Roberts. Please check the list below and enjoy continuing your trip around the Globe. Today I've been doing some more preparation for Stampin' Up! #christmascheerchallenge next weekend. Demonstrators, their customers, friends and families, have been challenged to make 20,000 Christmas cards in just one weekend 1st, 2nd and 3rd December. Here are my helpers today, two of my regular customers plus one of the Mum's, who have experienced first hand the fantastic work that Ronald McDonald House Charities do to keep families close with their sick children. Unable to support this weekends events, they wanted to give their time to help this challenge. Lots of cutting, scoring and punching of retired hats going on in this photo. Some of my team are having a sleepover at the Studio this weekend and I'm sure we will be crafting into the 'wee small hours', with a bottle or two of Prosecco, to help us reach our goal ! 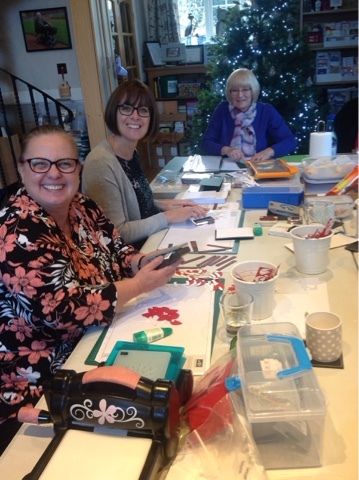 If you are able to support us this weekend, I would love to see you at my Stamp & Craft Studio in Great Ellingham and make a few cards ~ no experience necessary as there is something for everyone to do to help. 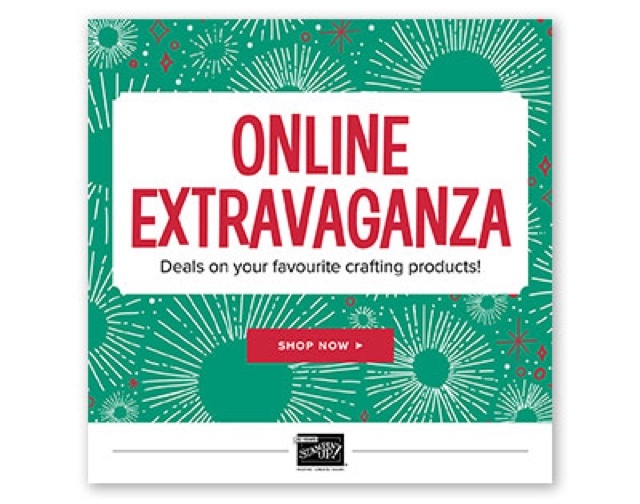 Fabulous bargains to be grabbed ...... to keep and eye on the daily offers all this week, simply click on my ONLINE SHOP HERE and Stampin' Up! will be updating special offers daily. 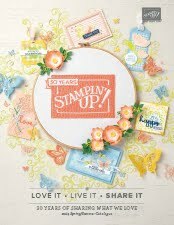 There are also some EXCLUSIVE DEALS celebrating the 10th Anniversary of Stampin' Up! in Europe, so remember to check out both lists ! I will have all the offers with me, so give me a call if you can't get to a computer and I will be pleased to help you secure your bargain. All orders will earn an extra mystery gift from me too, so go and have some crafty fun and grab your bargains, while stocks last ! This has certainly been a very special year for me, with many new and wonderful experiences and achievements ..... and it's not over yet ! Today I'm able to share with you my very first publication in a craft magazine that has gone on sale in the shops today !! 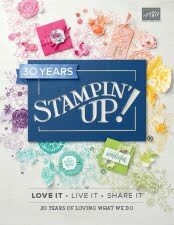 Back in the summer I was asked by Stampin' Up! UK if I could undertake a detailed brief from Papercraft Inspirations magazine, as Charlotte Harding, our European Product Specialist was just commencing Annual Leave and unable to complete. I was thrilled to be asked by the UK team to step in to Charlotte's shoes ! 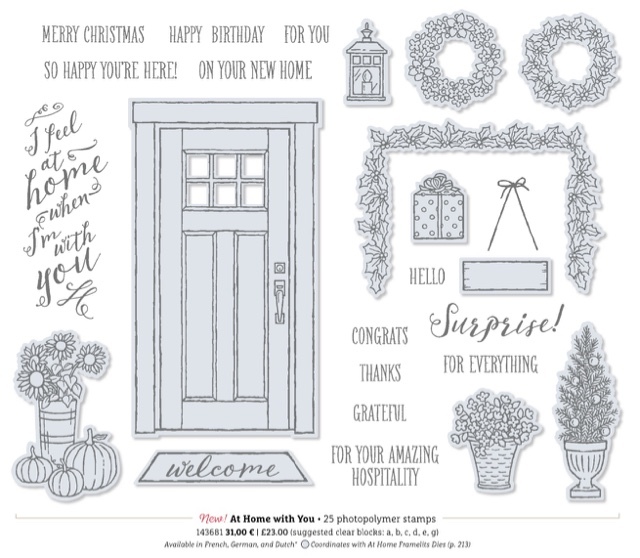 Charlotte had asked that I use the 'At Home With You' stamp and die bundle #145351, and was also sent the 'Be Merry' product suite to incorporate into the projects. I hope you can pop back soon to see more details on the projects I compiled for the article.